Bollywood Super Star Salman Khan yesterday met the cast and crew of Great Grand Masti. Riteish Deshmukh, Aftab Shivdasani, Urvashi Rautela and director Indra Kumar and other crew greeted Salman Khan on his arrival. 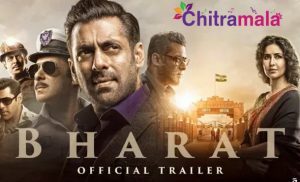 Interestingly Vivek Oberoi who is also a part of the film maintained distance from Salman Khan and reminded that they are still foes. 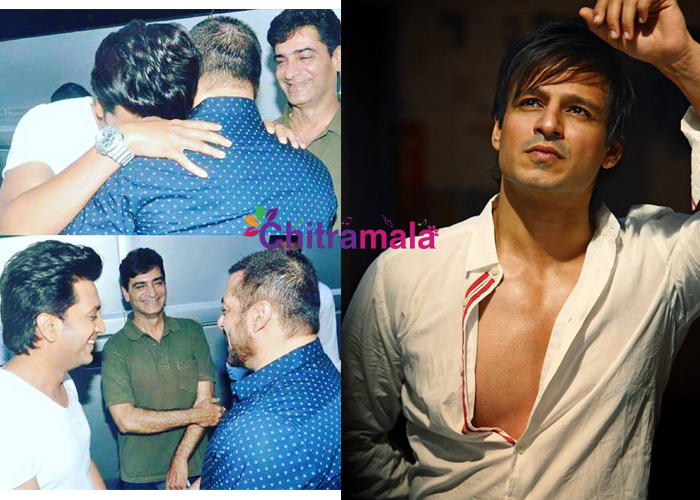 When Salman visited the sets of Great Grand Masti, Riteish got a warm hug from Salman. Both Riteish and Aftab were seen laughing and spending some time with Salman Khan. However, Vivek who was also on the same location maintained distance by moving into his caravan once Salman Khan arrived. In the past, these two heroes had a furious rivalry. The fight between these two began when rumours aired that Vivek Oberoi was dating Aishwarya Rai, who was an ex-girlfriend of Salman Khan. This rivalry continued and is continuing since then. Once Vivek in an award function openly apologised Salman Khan for becoming a part of such filthy rumours and hoped that everything settles. Though, much didn’t happen then as Salman chose to ignore Vivek. Now, seems like, the same is happening with Salman Khan. Vivek by ignoring Salman’s presence made sure that he still remembers the past. It’s time that makes friends and break friends. We all know how Salman and Shah Rukh Khan fought and became friends. Let’s hope that Salman and Vivek will reunite together one day.